Because of the many Russians who moved into the area to grow wheat, Batum was named for a city in the Caucasus on the east coast of the Black Sea in Russia. Never having a population of any great size, it was one of numerous stops on the Marcellus branch of the Milwaukee Road. Here we see the crew switching cars at the not-often photographed location. 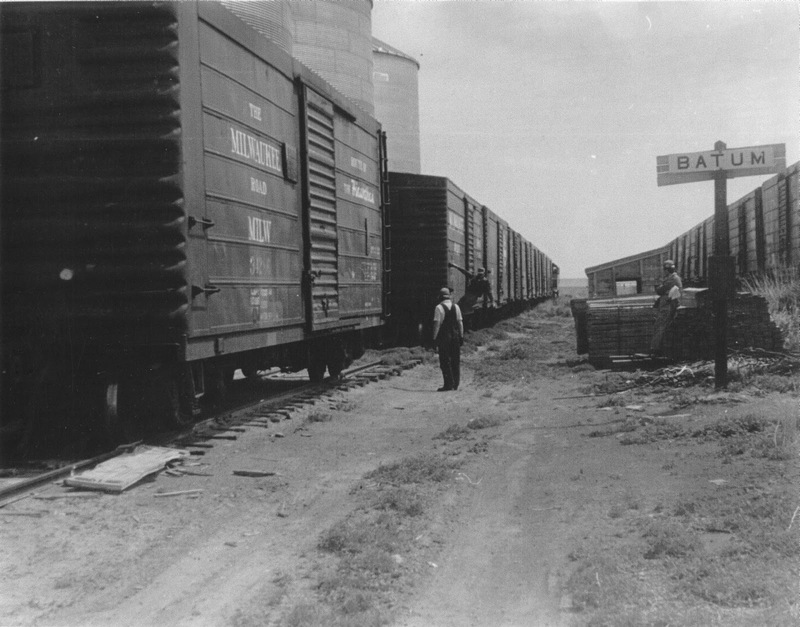 The boxcars, with the distinctive horizontal ribbing, were built by the Milwaukee in its own shops.